We all want a bathroom that would be a reflection of our personal style and be able to deliver the comfort we need at the same time. However, aside from that, it’s also important that it has the right fixtures and amenities that are capable of providing function and value as well. 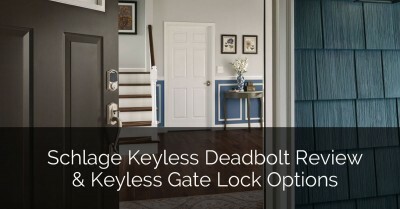 Fortunately, through careful planning and choosing the right design, you can have it all. Here are some of the best tips that could turn your bathroom remodeling dream into reality. Before you even call a remodeling company for your bathroom remodel, you should first talk with everyone who will be using the space. Try to have a discussion about the fixtures and finishes you are supposed to use and how much of a budget you’re willing to shell out. As you plan for your budget, it’s important to have a little extra, because you never know if there will be some unexpected problems that will increase the cost later on. This planning would be very helpful and go a long way toward keeping with your bathroom renovation plan as you move along with the project. Once you start with the renovation, you have to know that the process could take around 30-90 days. No matter how long it is going to take, try to resist the temptation of changing your plans unless financial constraints or problems arise. Change of plans will force you to spend more and for the completion date to extend further out. In case you’re having a hard time setting a plan in place for your bathroom, speaking with a remodeling contractor and ask their advice. 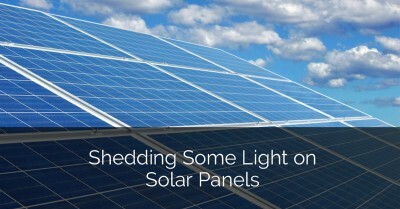 A professional can also offer a vision for your style, and handle the scheduling for both installers and vendors. A lot of homes usually have at least one bathroom with a sink, toilet, and bathtub. Then, there are optional extras, such as the shower, and in some cases, a bidet. An extra sink is also a popular choice for most people, especially in households where the bathroom is often used by more than one person. Similar to a standard bathroom, a customized bathroom is filled with a number of suite fixtures. The difference is that the final design usually has a matching countertop and built-in cabinets around a certain area of the room. These are the type of bathrooms that comes with a shower, minus the enclosure, and the water runs away through a drain installed in the floor. That’s why it’s important for the whole room to be waterproofed. Due to the proximity of the bedroom to one’s bathroom, noise is usually an issue for most homeowners. If there aren’t any windows attached to the bathroom, an exhaust fan should be installed as it can help in removing moisture. Likewise, if you want to reduce the noise made by your toilet tank while it’s being refilled, then you should install a modern inlet valve. Powder rooms are usually situated on the first floor of the house and often near the entryway. These rooms are also known as half-baths, and comes with a toilet and sink. However, unlike regular bathrooms, there isn’t any bathtub or shower. Related: Check out our Bathroom Design Ideas porfolio. For those who are not aware, if you really want to save a good amount of money on renovation and demolition, it’s highly advisable to keep the new bath’s plumbing fixtures close to the bathroom’s existing plumbing. However, in case that the remodeler discovers an outdated wiring or plumbing, there’s a huge possibility that this professional would suggest that you gut out the old pipes and wires, which will allow the installation of the new ones, in addition to changing the locations. If you have limited budget and need to keep the same footprint. Don’t worry, you can still give the impression that the space is a little bigger through the use of some tricks specifically made for that purpose. 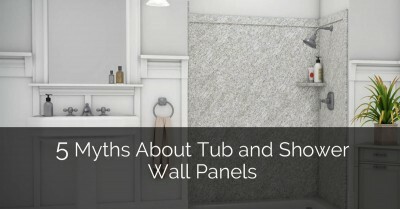 For instance, pedestal sinks are best known for making the room look more spacious, then clear glass shower doors are more preferable than the shower curtains on tubs as this would block the light and make it seem more enclosed. Likewise, you can also consider using a big mirror as an alternative to a small medicine cabinet mirror. Doing something like this could visually double the space around your vanity area. Although an elegant finish on faucets would definitely make a bathroom look elegant, you’ll never make a bad choice once you consider installing sufficient and luxurious bathroom lighting. Likewise, well-designed vanity lighting is capable of eliminating the shadows on faces. A combination of LED recessed lights with wall sconces beside or over the mirror is also a great idea, because whenever it’s too bright, you can always install and use dimmer switches. For bathrooms, overhead lighting is very important. As for ambient options, you can always consider the use of a sunken track lighting, frosted glass fixtures, or even rice paper. Likewise, perimeter lighting is also capable of creating both soft, ambient glow, as well as useful light. It’s also highly advisable to consider using pendant lighting. Something like this allows the scattering of light into the direction that it gives the illusion of a beautiful centerpiece ceiling. Unfortunately, when it comes to bathroom remodeling, a lot of homeowners tend to neglect this aspect. What they are not aware of is the fact that proper ventilation is very important, especially if you want to ensure that your bathroom renovation project lasts for years to come. A bathroom that’s not properly ventilated could contribute to a number of problems, such as the buildup of mold and mildew. This could wreak havoc and ruin some of the expensive upgrades made in the new bathroom remodel, such as the floors, walls, and even the cabinetry. A top-quality fan is very important if you want to ensure optimum indoor air quality and it’s definitely worth every penny. Those with a steam shower or low ceiling, should stay away from placing a fan inside the shower, because the steam of the vapor coming from the ductwork would not circulate the air as well. Get a fan timer and try to look for one that comes with a one-hour setting. For home owners who are currently in the process of building a new home, what they can do is incorporate a remote timer and this would give them the ability of being able to turn the fan on in the middle of the day or at night remotely. Likewise, you can also consider wiring in a dehumidistat, so that the fan would be able to run whenever you need it. Those with younger kids around the house or who don’t want to have the responsibility of turning on the fan timer every time, then they can consider using a motion sensor for this purpose. Have you noticed that some glass panels don’t really go all the way to the top of the bathroom ceiling? There’s a reason for that, it’s because a lot of experts believe that keeping frameless glass installations from going floor to ceiling allows more air circulation inside the bathroom. A full grand surround turns a conventional shower into a steam shower. A transom installed above the door could be utilized in a way where it would dry the shower every time you close the door. Likewise, placing the fan near the transom can also help in drawing air out of the shower every time you close the door. For those with a steam shower, it’s highly recommended to incorporate a bigger bathroom fan. Don’t forget to check the grout lines as well. Fewer grout joints are recommended because there’s less surface area to absorb moisture. Having a floor heating system that can be laid under the tile in the shower is a nice add-on, not only is it more comfortable ambiant air temperature, but the feel of warmth on normally cold tile in the morning is a nice change that you will certainly enjoy. It’s important to ensure that the heating system you’re going to get can be used inside the shower. For those who are interested in this type of bathroom, it is ideal to consult a professional who would help you plan the layout. Try to use all the space of your bathroom as much as possible, if your bathroom is on the smaller side, then you have to unleash your creativity in order to design the space and make it look larger. Glass doors for tubs and showers are perfect if your purpose is to open up the room, and the pedestal sinks are ideal since they occupy lesser space when compared to cabinets. All cabinets and tower cabinets above the toilets, as well as towel racks are perfect for those who need storage, but who don’t have much space to work with. Porcelain, ceramic, and stone tiles definitely look beautiful and pleasing to the eyes, and they’re also water-resistant choices making them the perfect tiles for bathroom flooring. As for durability, nothing is better than baseboard tiles, and these tiles are also known for adding an elegant finishing touch. For those who are thinking of putting their home up for sale five years from now, then it’s important to ensure that the value of your property would increase over time, consider having your home renovated for that purpose. On the other hand, if you’re planning to live in your home for a couple of years, it’s very important to ensure that the design of your bathroom is something you would really love and fit with your style and preferences. I wan to remodel my bathroom, but I don’t know what to change exactly. I didn’t even think about the lighting! It makes sense that ambient lighting would be perfect for a bathroom. I agree that you need to consider a bathroom layout before you choose fixtures. It would make sense that for different plumbing configurations you would need different fixtures. I’m remodeling my bathroom so I’ll have to consider the layout before I choose the fixtures. I like how you mentioned lighting as an important part of bathroom remodeling. I’ve been considering meeting with a contractor to discuss remodeling. Lighting is a big issue in my bathroom. I love to dim the lights when I take a bubble bath. That’s one thing that I might discuss with a contractor and see if that can be implemented in the project. Just in time for me. I am planning to have my bathroom remodeled. It is going to be fun. I had never considered using heated flooring. My wife and I are wanting to update our master bathroom. I’ll have to see if she’d want to have this kind of flooring instead of regular tile. Great bathroom remodeling tips. These are very important things when doing a remodel. Thanks! I really want to remodel my bathroom later on and I wanted to look up some ideas and tips on how to go about it. I didn’t think about adding recessed lights with some over the mirror as well! Having a dimmer would be a really nice thing to have in the morning as well when everything is too bright. That’s a great idea. Thank you so much for the tips and ideas! 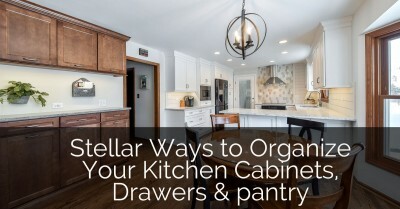 My wife told me the other day how much she would like to remodel our master’s bathroom, and seeing this article, I think this will be of great help to her before she gets bathroom remodeling services. I’m thinking of doing a perimeter lighting so as to create a soft, ambient glow and useful light. Luxurious bathroom lighting will definitely give an elegant finish! Thanks for this! Thanks for these remodeling tips. I didn’t know that it’s important to make sure that your new bathroom is ventilated properly especially if it can help prevent mildew buildup. I’m kind of interested to learn more about how to take this consideration into the initial planning of the project, and how to determine where the best location of the vent should be. I like that you provided some bathroom remodeling tips such as installing luxurious bathroom lighting. If I were to remodel my own bathroom, I would make sure to take this into account. Thanks. I have a main floor bathroom that is 9×9′. I’d like to paint it a dark color , possibly BM Marshlands. We have white baseboard and sinl. I’ll paint cabinet white. The wall space is big. I want to know what I can put on the walls to pull it together. Floor is hardwood. Can I send a pic for ideas. Absolutely, send them our way and we will take a look. I just sent you an email. 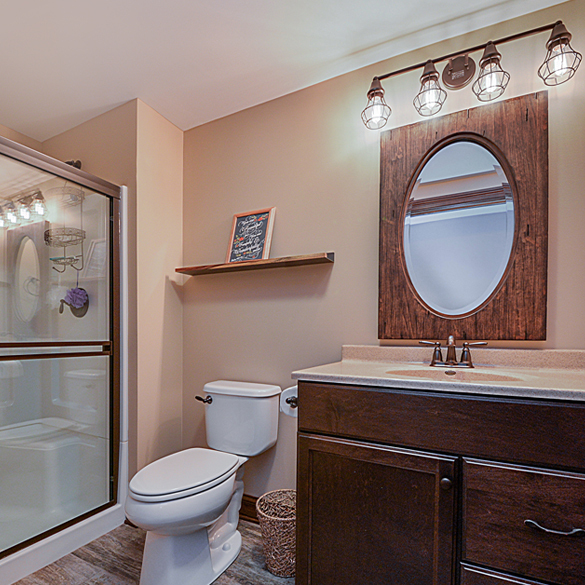 I like that you talked about how you can consider choosing glass doors for tubs and showers to make your bathroom space appear bigger and to open up the room. My husband and I are looking to remodel our bathroom. Since we have a small bathroom, it will make sense for us to think of the ways that can effectively make it look bigger and open which can be possible by choosing glass materials. With that being said, I will make sure to consider all your tips for bathroom remodeling. Thanks! I’m glad that you suggested using glass doors to make the room look bigger than it actually is. I am going to remodel my bathroom soon and I wasn’t sure how to make it look nice. I can see how it would be nice to change my shower to glass because it could make the room feel less cramped. 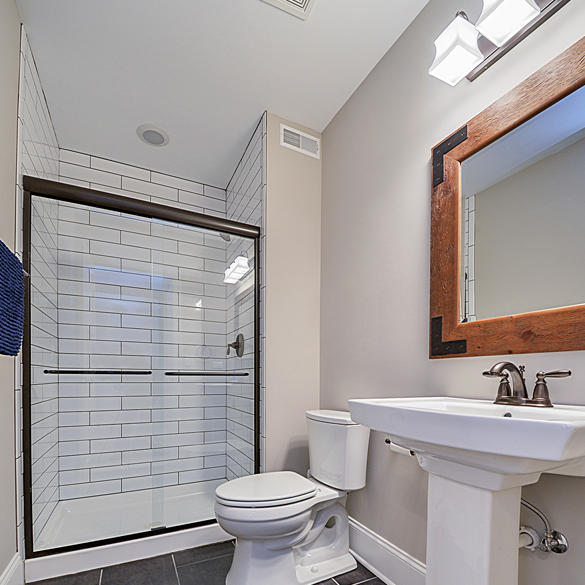 I like that you talked about how you must consider having a little extra for the budget in bathroom remodeling because there can be unexpected problems that can affect the cost of the project. My husband and I are interested to remodel our bathroom to give it a newer look. We’ve been talking about the factors that we should consider in setting a budget for it since we want everything planned accordingly. With that being said, I’ll make sure to consider having a little extra for the budget. Thanks! 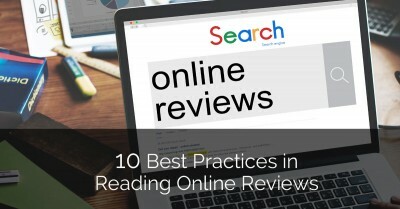 Very good recommendations and ideas in all areas. Thanks. Thanks for giving me the idea that brass and gold tone fixtures can add depth and dimension to a bathroom. This part of our house needs remodeling, and we’re looking for nice designs and ideas. Brass and gold fixtures are elegant additions to our bathroom. I’ll be looking for a remodeling contractor to help me start my bathroom’s restoration. Thanks for the advice! My wife and I are about to start a project remodeling our master bathroom. Definitely appreciate the tips. The lighting effect are a factor we hadn’t even thought of. Thanks! It really helped when you said that getting an efficient lighting design can help eliminate shadows on faces. That was a common problem we have in our bathroom before. It was too dark and my husband easily gets cuts when shaving. With this bathroom improvement project, I’d be sure to get help from a professional so we can remedy this lighting issue. Thanks for the very helpful tip! The bathroom is one of the best areas to fix if you are trying to increase the value of your home. It can be a bit intimidating to fix up a bathroom, but it is so worth it. Thank you bathroom remodeling tips. Very Helpful. I love your tip to talk to everyone that will be regularly using the bathroom space for ideas on what you want the remodel to look like. It would be important to make sure everyone will be happy with the remodel and that it will fulfill everyone’s needs! I’m planning on remodeling my guest bathroom, but I’ll make sure to talk to all my roommates before I call a remodeling company. Thanks! I have never heard of a wet room being in a home before! That sounds like something I might want. I will talk to my wife to see if we want something like that for our remodel. I appreciate your suggestion to put a heated floor in when remodeling your bathroom. My husband and I are going to be renovating our bathroom. I think a heated floor sounds fantastic, so we’ll look into it. 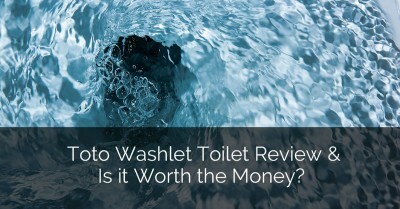 This is a must read article before going into bathroom renovations. Thanks for this! Great tips! It’s so important for everyone who’s using the bathroom to come to an agreement about what will be done before the remodel begins. Overlooked, but so important. 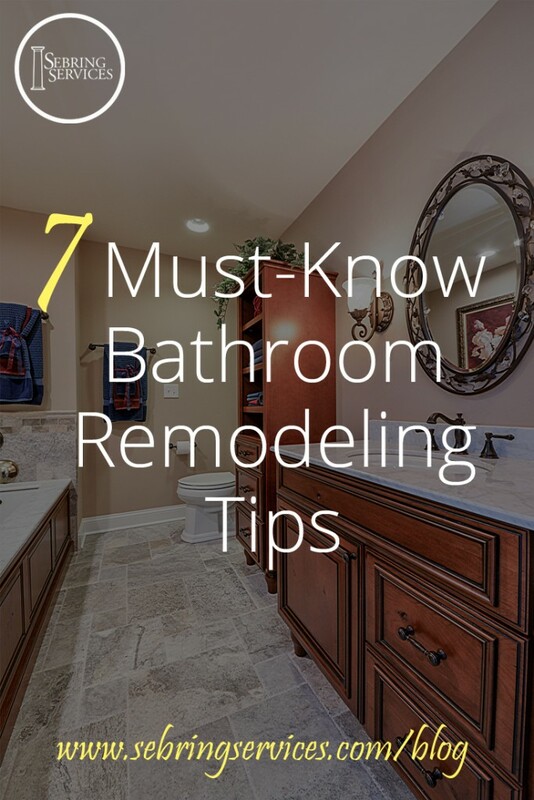 I really appreciate your awesome 7 must-know bathroom remodeling tips! At the moment, I am helping my sister in renovating their bathroom. I am gathering more ideas on how could I help her and I definitely agree that considering the use of a heated floor, maximizing the space and choosing an appropriate, yet durable flooring will make it done perfectly! I like that you suggested having a heating system under your floor so it doesn’t get cold. My wife and I are going to remodel our home this year. It would be nice to have heated floors because I hate walking on cold floors in the morning. Our bathroom is so outdated and needs remodeling. I’m so ready for a rebuild! My husband and I will keep in mind what you recommended about setting in more ventilation. I am sure it would be really helpful. 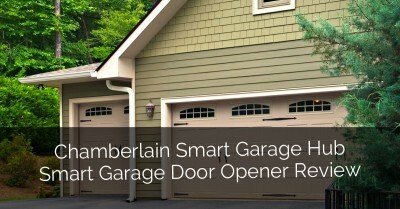 Very nice tips for homeowners to have a good remodeling experience. The finished floor shall slope uniformly toward the drain not less than 1/4″ vertical for every 12 inches horizontal (2-percent slope) nor more than 1/2 inch. Looks amazing, very unique design ideas. I like classic look for bathroom design. These tips are very helpful and clever too. I seriously love how detailed each tip is and how interesting it is to read. I will bookmark this page and will surely follow these amazing tips in the future! My wife and I want to remodel our bathroom this summer, so thanks for these tips. I like your point about considering heated floors. It gets really cold in the bathroom during the winter so we might need to look into this more. My wife and I are about to start a project remodeling our master bathroom. 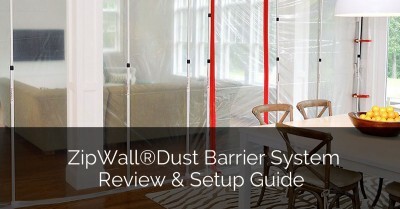 Definitely appreciate the tips and with the best contractor. Thanks for bringing to my attention that lighting can help to make a bathroom more luxurious. My wife and I are going to be remodeling our master bathroom, and lighting is something I hadn’t considered at all. Having a well-lit space really makes all the difference though, so we’ll make sure to keep lighting in mind while we plan this. My mom wanted to remodel our home because it looks dark and shady. It was explained here that she should have a bathroom planner and choose a bathroom layout. Moreover, it’s advisable to hire professional contractors when considering remodeling the bathroom. My husband just finished renovating our kitchen and I asked him to do the bathroom next. Thank you for your tip about considering the proper ventilation to help ensure that our bathroom renovation project lasts for years to come. I hadn’t considered using a heated floor; though it sounds amazing to have in the mornings. My circulation is terrible, so my feet are always freezing, especially in the bathroom. I’ll have to find a professional in my area to help me get that installed, as you suggested. That’s a great point to design with the future in mind, especially for people who are looking to put their home up for sale within the next few years. We are actually doing a renovation so that our home will be worth more when we sell, so that tip is for us. 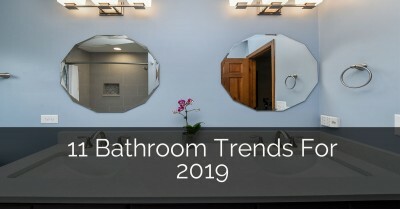 I think we might try consulting with a bathroom remodel specialist because they would know what trends are here to stay for the next few years—at least long enough for us to sell our home. Thanks for the info! That’s a great point that good bathroom lighting will eliminate shadows on your face in the mirror. That would be really nice because then you wouldn’t ever be frustrated about not being able to see parts of your face well. We are thinking of doing a bathroom remodel, and the lighting is the top priority on my list because our current lighting is quite dim. Thanks for talking about the small details like air circulation in bathrooms. I never knew that you have to plan things like the mirrors around circulation, but now that I know that, I definitely want to get a professional remodeling contractor to do it for us. They would know what to look for and be able to do it well, so I’ll just leave it up to them! The air circulation in our bathroom right now is not very good, so that’s something I’d like to fix in our remodel. Article is must to read, as the name suggests. 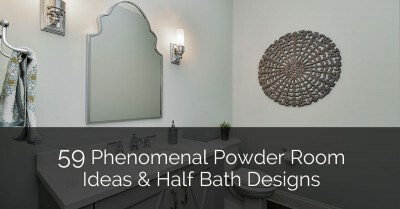 Am glad I came across this blog, it has helped me learn more about bathroom remodeling ideas. My bathroom now looks beautiful and luxurious after borrowing some ideas. Wonderful tips! Love these pictures. Very inspiring when you are thinking to renovate the bathroom. My husband and I are planning on renovating our bathroom, and I wanted to get some good tips.I am also a part of renovation tips and lurking around your blog gives me a lot of ideas. Thank you for the great right ups! Very interesting and lots of valuable information. Keep it up! Hello, thanks for sharing the wonderful post. These tips are really amazing. Next week I am planning to do a bathroom remodel and I want to install walk in tub and shower. Thank you so much for posting this! Just the post I was looking for. Designing a bathroom in a very small space. 1.2m wide by 2.4m long (that’s 3′ 9 1/4″ x 7′ 8 3/4″ for those in the USA) and at one end is a standard sized door is proving a challenge. Your site has given me some great ideas on how to fit a shower, toilet and vanity into such a small space but make it usable for practical day to day living. You’re right that there should definitely be some kind of ventilation in a bathroom to prevent moisture build-up. My husband and I are remodeling our bathroom and removing the window that is attached to one wall (it’s just so awkward having one there) and installing a vent to replace it is definitely something we’ll want to look into. I’m not sure if we already have an inlet valve, but our toilet can be rather noisy, so we’ll have to talk to the contractor about that, as well. Wonderful tips to consider for the people who are looking for some useful bathroom remodeling and renovation ideas to fulfill their dream design. We are certain that by optimizing these mentioned tips, one can surely up their overall design and value for money for future.